To be eligible for employment as a Certified Nurse Assistant, you must first pass the CNA certification test. Upon successful completion of the CNA test, you will be listed in the CNA Registry of your State. However, other specific requirements may vary from state to state so we suggest that you research the specific requirements of your state. For a complete list of CNA State Registry contact information, see our certification breakdown state by state. The Certified Nursing Assistant (CNA) exam is designed to evaluate the knowledge, skills, and abilities required of a CNA to safely perform their duties and responsibilities. The exam consists of two main parts: a written portion and a hands-on CNA skills portion. Both the written and skills portions of the exam are administered on the same day. On average, there are 75 multiple-choice questions, but it may vary depending on which state you are residing in. Oral versions of the exam, in both English and Spanish, are available to those with special preferences. The skills portion of the test will require you to perform 5 randomly selected skills out of the 25 skills you have learned from your CNA training and study. It will take place in an environment that resembles a CNA workspace, with all the necessary tools and equipment provided. The skills portion of the exam allows 25-30 minutes for the completion of all 5 skills. A designated evaluator will observe you and grade your performance. Students often find this portion of the exam to be the most difficult one. It is very important to be prepared for all 25 skills, knowing how to perform each one correctly and independently. It is important to prepare for the exam well ahead of time to give yourself the best possible chances of passing. With that said, failures can happen. And if by some misfortune it does happen, be sure to restructure your study habits and give yourself ample time to study. Most states allow you to retake the exam three (3) times within a two (2) year period. If you only fail one portion of the exam, you will only have to retake that particular portion. But you will have to pay the exam fee every time you attempt the exam. After failing the exam three (3) consecutive times, re-training is required for applicants to be eligible to retake the exam. 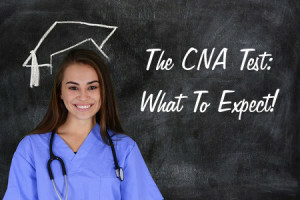 Ideally, you must strive to pass the CNA test the first time you take it. 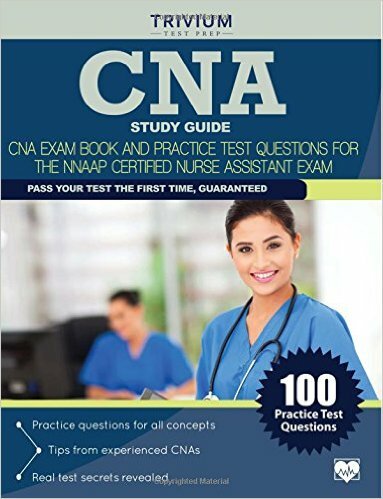 You can find many different CNA study guides, practice tests, study tools, and skills preparation material here at Amazon.com.